Share the post "4Corners Images"
4Corners Images specialises in high quality travel stock photography from all over the world. To promote their wide collection of new images uploaded in 2012, they wanted to produce a website that showcased them in an interesting and unconventional way. 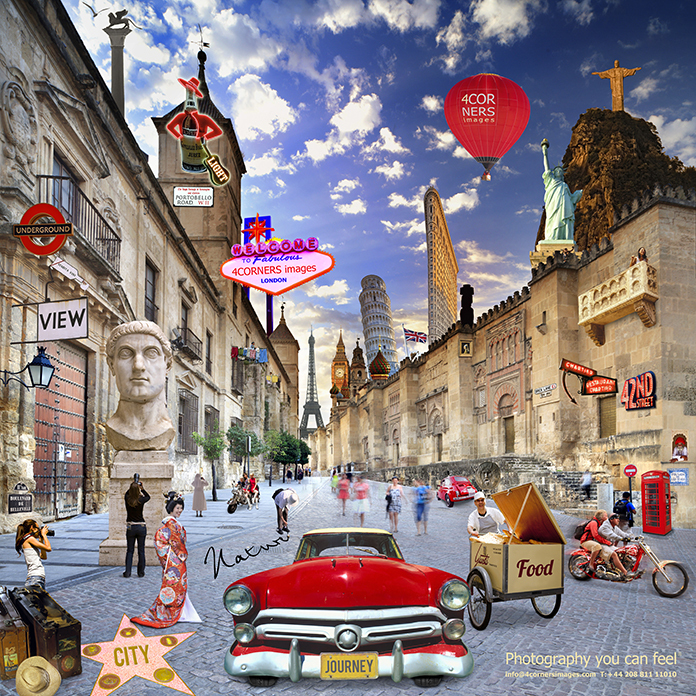 In order to achieve this, 4Corners decided to create an interactive street-scene montage, made up of images taken from their extensive world-wide collection. The finished website would contain six pop-up galleries, each displaying a different category but hidden within the street. I oversaw the Creative Direction of the project and created the street scene montage in Photoshop before it was then passed on to Readysalted, who were responsible for the flash animation, development and build.